Millions of Americans complain of chronic pain yearly, with as many as 28 percent identifying lower back pain as the source. If you are one of those who suffer from constant pain in your lower back region, an exercise routine to strengthen your lower back and improve your posture may be necessary. 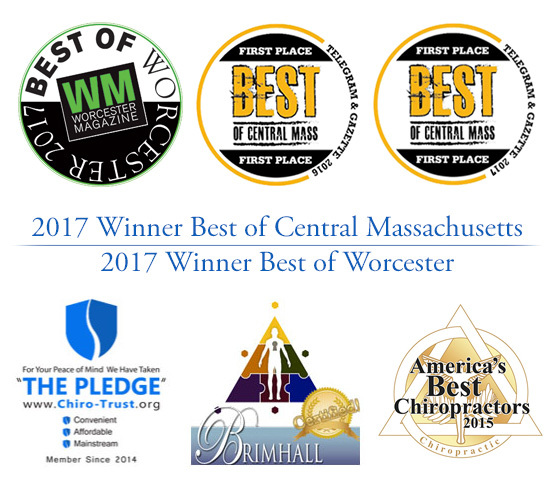 Contact us at Nault Chiropractic in Worcester today to schedule a consultation with board certified chiropractor Dr. Stephen Nault and see what we can do for your chronic back pain. Although we offer postural analysis to our patients to assess which areas of the back and spine can be improved, there are also posture exercises that you can do at home to help the process. Posture is the position we default to while sitting, walking, standing and lying down. Several muscle groups are responsible for maintaining our posture and holding us upright against the forces of gravity; when these muscle groups are not working at optimum efficiency, it can lead to pain and other structural deficiencies. What are the Chronic Effects of Poor Posture? Poor posture that goes uncorrected for a long period of time can lead to chronic back conditions such as Upper Crossed Syndrome, Lower Crossed Syndrome and Functional Scoliosis. Although the name is not widely recognized, thousands of people primarily those with professions that require excessive sitting or standing, suffer from Upper Crossed Syndrome (UCS). It is identified with rounded shoulders, holding the head in front of the body and an apparent curve in the neck and upper back. Commonly seen in the elderly population, UCS is the weakening and lengthening of posterior upper back and neck muscles as well as the tightening and shortening of the opposing anterior chest and neck muscles. Similar to UCS, Lower Crossed Syndrome (LCS) is muscular imbalance in the lower back, legs, buttocks and abdominal region. This condition is also seen in office workers, athletes and those who sit or stand for excessive amounts of time or who have poor posture. While Scoliosis is a spinal deformity with no known cause that causes a significant side curvature of the spine and usually requires surgery for correction, functional Scoliosis is caused by unequal leg length or chronic, poor posture that causes the spine to appear curved. It can be easily treated with proper exercise and improved posture. How Can These Conditions Be Corrected? Fortunately, these painful lower back conditions can be corrected. Regular chiropractic visits and adjustments with Dr. Nault are one solution, but there are also ways to improve your posture and take care of your lower back at home. The most important correction to learn is how to sit with proper posture. The connective tissue fibers throughout your body tend to mold into place through repetitive motion, causing you to default to an incorrect position easily through long-term poor posture. Although it takes time and repetition, these connective tissues can be retaught the correct way to sit. While sitting or standing, make it a point to keep your chin tucked, your shoulders pressed down, and your back straight. This is the correct way to sit, and it is the first building block to correcting your lower back conditions. Below are some quick stretch exercises that are easy to incorporate into your day and effective at maintaining posture and managing back pain. The Founder and The Lunge Stretch are part of our Spinal Exercise Program. Sit in a chair with good posture, tucked chin, shoulders down and back straight. Extend your arms behind you, keeping your elbows straight. Interlock your fingers if possible and gently lift your elbows upward. You should feel a stretch in your chest muscles. Hold this pose for 10-15 seconds. Abduct your shoulder to 90 degrees, then place your hand on a door jamb or wall. Lean forward, feeling a stretch in your shoulder. Hold for 10-15 seconds. Lay on the floor with your forearms and legs parallel to the floor and your head aligned with your spine, looking down at the floor. Push yourself up into a pushup position, keeping your forearms on the floor. As you push yourself up, make sure to squeeze and tighten your gluteal and abdominal muscles. There are several Yoga positions, such as Childs Pose and Cat/Camel, that help elongate the spine and stretch lower back, leg, and chest muscles. For more information about posture exercises or chronic back pain, contact Nault Chiropractic today.